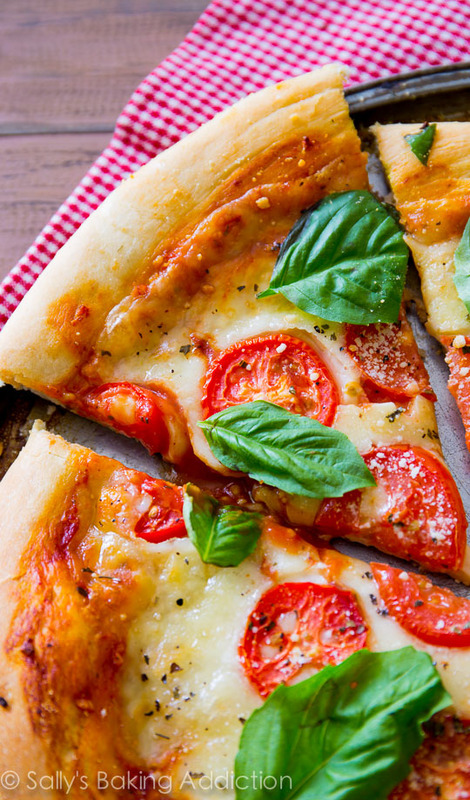 Sometimes you just can't beat a classic like fresh and simple Margherita Pizza. This homemade pizza recipe hits the spot and is so easy to make! A favorite pizza restaurant near me serves this pizza topped with a few blackberries. And raspberries are delicious, too. The berries add a surprisingly delicious taste to the pizza. Give it a try! Preheating the oven to 475F°. Mix the olive oil and chopped garlic together in a small dish. Spread olive oil/garlic mixture on top of prepared crust. Top with pizza sauce, then the mozzarella cheese slices, then the tomato slices. Bake for 14-16 minutes or until the crust is lightly browned and the cheese is bubbling. For the last minute, I move the oven rack to the top rack to really brown the edges. That's optional. Remove from the oven and top with fresh basil and pepper. Spread the blackberries over pizza. Slice pizza and serve immediately. Store leftover pizza covered tightly in the refrigerator and reheat as you prefer.